Ready for the next level in your avalanche skills development? The AST level 2 course builds on the foundational skills learned in the AST1 program with one class room session and three field days devoted to enhancing your decision-making framework for traveling in avalanche terrain. Participants will learn progressive planning and travel techniques for sledding safely through a variety of terrain, key techniques for using both the Danger Rating on a local scale and the ATES model to develop personal terrain ratings, and improved proficiency in carrying out a group rescue. 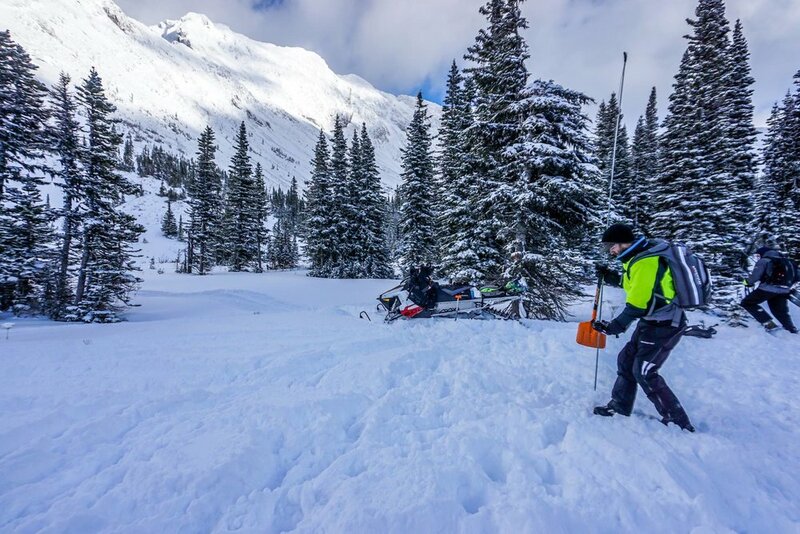 The MAT course is a field based program for sledders who have taken their AST1 and are looking for additional training in terrain management. Participants will learning how to mitigate risk exposure by honing terrain assessment and travel skills. Custom dates to suit your needs. No minimum number of participants required. Submit request here. 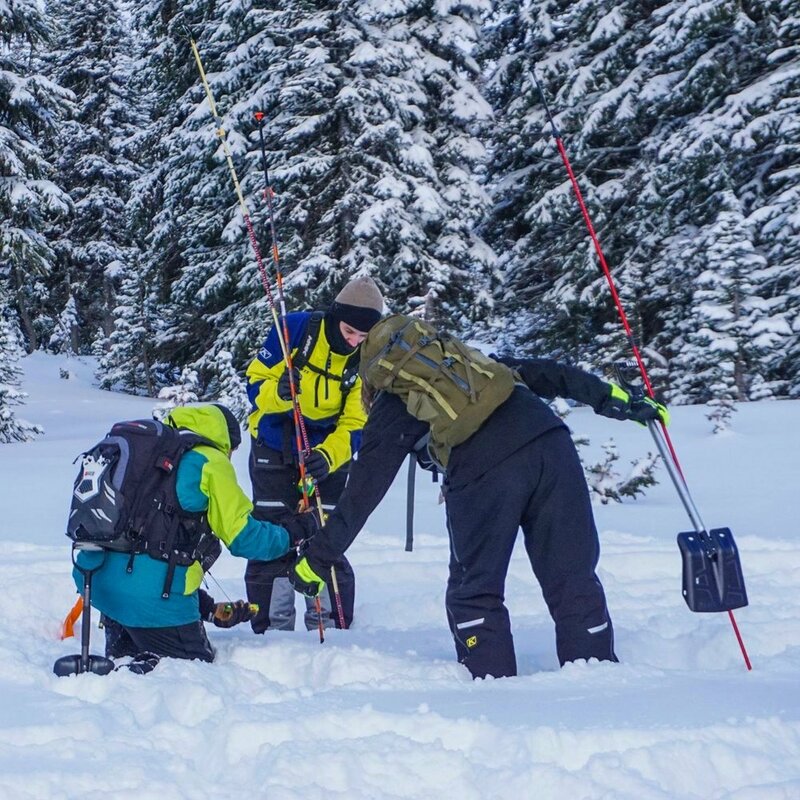 The Companion Rescue Skills course teaches life-saving search and rescue techniques and is is a must-have for all backcountry sledders. The CRS course may be the first step of your avalanche training, or an important refresher for those with previous training. The one-day CRS requires a minimum of seven hours in the field.